A great news for all the engineering graduates of batch 2018 i.e. 2018 graduates students who are looking for jobs and want to start their corporate world journey with some big MNC's. Then here is your chance as Tata Consultancy Services (TCS) is hiring. First open the link http://bit.ly/TCSOffCampus2018 and read all the instructions carefully on that page. Then click on the button "Register Now". After clicking that button a new form kinda page will be opened where you will need to fill all the details such as Name, Email, exam center and other little details. But in that form you also need to fill the TCS reference ID ( i.e. the reference id provided to you from TCS Next Step beginning with CT/DT). To get that CT/DT you need to open this link: https://nextstep.tcs.com and fill some details there too as according to your field of study. After the reception of CT/DT you need to fill that ID in your TCS off campus drive 2018 form. Now submit the form and you will get a mail regarding your successful registration. ** NOTE: Kindly save this email that you will receive as it will contain User ID and password that will be required during the hall ticket download. Before I start my article I want to wish luck to you for your Interview( I guessed if you are reading this article then maybe you or your known is going for a interview or will go). I hope that you will crack that interview. Guys I am actually telling you all this by my experience. As when I went to attend interviews to a new city then I actually suffered a little due to absence of these small things. You may get these things anywhere but it would be a plus if you carry them with you because you never know. Because the place that I visited for an interview was a totally corporate area full of companies but no store was near me to buy all this stuff. So it's better to go prepared. Now, I want to tell you some things to keep in mind before you leave you house and start travelling for your interview. These are small everyday life things but they will greatly impact your comfort level when you will travel. Water : Yeah I know what you all be thinking like what the guy is saying! We can buy mineral water in the way !! But friends this the smallest but the most important thing to carry with you while you are travelling. As you never know what kind of place is that where you going. I mean to say that it's not necessary that you will get stores available there nearby you. So instead of wasting your energy and focus in finding a store to buy a mineral water bottle you can carry it with you. Bag : This is again an important thing to carry while you are going for interview. I know you all be like this that we always carry bags!! Then this point is not for you but friends I have seen many people just carrying documents in their hands with no bag nothing. So there is little advice that try to carry a bag with you because it will give a lot of ease while travelling. You don't have to keep documents in hand always. 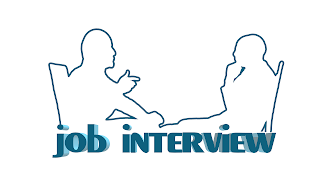 Tiffin Box : I know I know that you are not kids anymore but still this is an important thing to carry with you because you don't know how long that interview process gonna last. You know my one interview lasted for 5 hours !Yeah 5 hours! Not because it was hard but the reason was that the interviewer got stuck in some meeting and got late for the interview and there was no cafe, no restaurant that was near. You can imagine my situation as I had breakfast hours before. So that's why be prepared. Facewash : Its also a plus to carry it with you. The reason is that when you travel there is a lot of pollution outside and your face skin may look dull when you reach the venue. So, if you are carrying it then you can wash your face before going for face to face interview. carry an extra or a separate small towel in your bag that will also come handy when you will wash your face with facewash. Tie and Pen: If you are wearing formals then always carry a tie with you because tie on formals gives a professional look to you. Pen is like an important thing that a responsible person will carry and you don't want to look irresponsible while you are signing your bond or other documents there. As first impression is last impression. Extra copy of Resume : Always!! I mean that Always carry an extra copy of resume with you whenever you are going for an interview. The reason is that sometimes it's not mentioned but they may demand two copies of resume. They may not but still it's always better to be on the safe side. So, the above are the some "must" things according to me that you should carry while you are going out for interview to some other city.